Want to instantly and dramatically improve the flavor of your pre-ground morning cup of coffee? 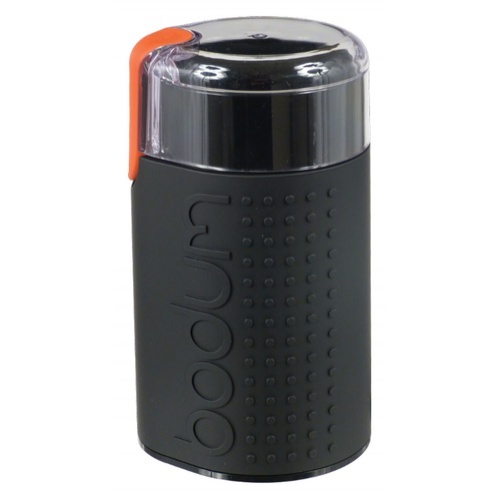 The Bodum C-Mill electric grinder is your answer. Milling your beans just before you brew your coffee allows you to get the freshest flavors possible - eliminating stale, pre-ground coffee entirely. The C-Mill's push-button design and clear plastic top allow you to easily control the rotating blades - and gauge the level of your grind in the process. Effective and economical, this unit has a 1.6 ounce capacity and comes with a 2-year warranty.